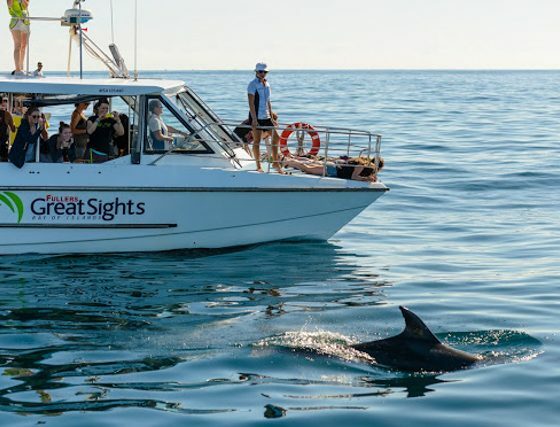 Swimming with dolphins can be a life changing experience and are are fascinating and entertaining creatures, Fullers Great Sights eco cruise gives you the chance to get into the water and swim with dolphins as they play in their natural environment (conditions permitting) all year round. 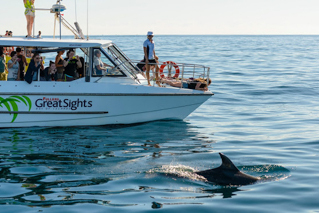 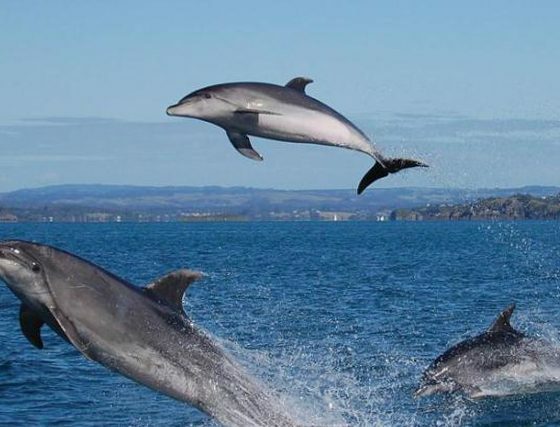 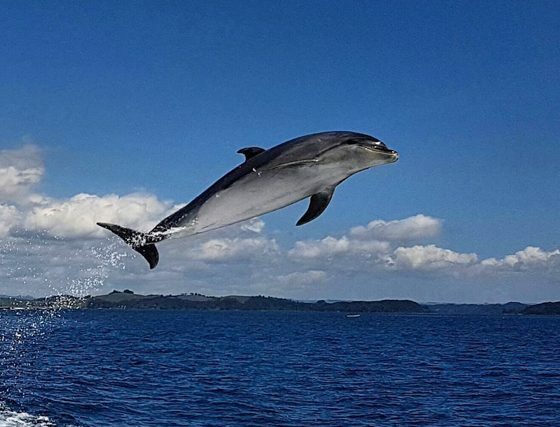 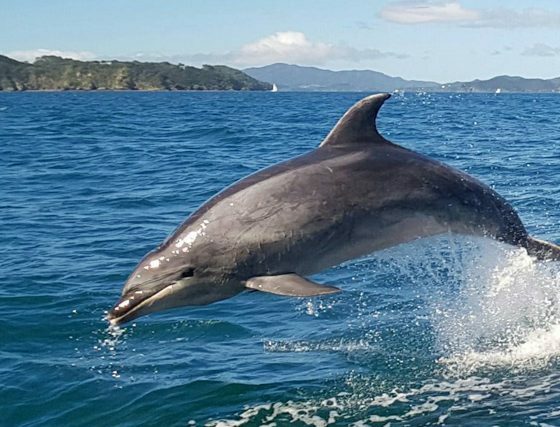 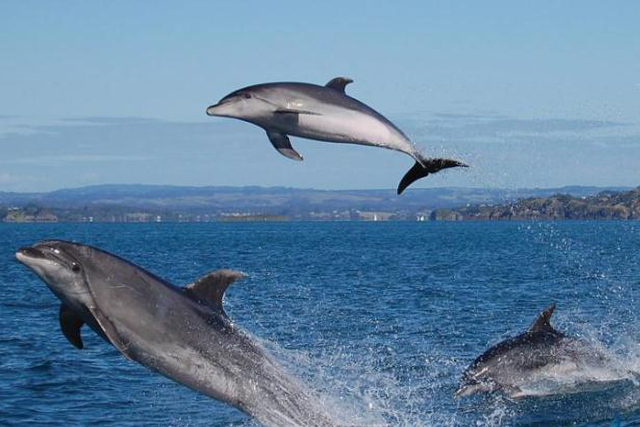 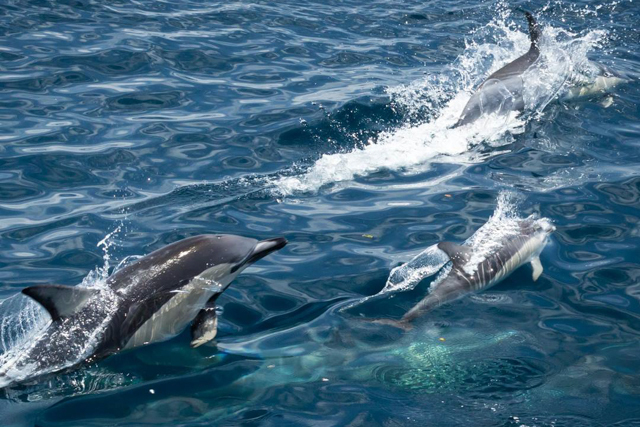 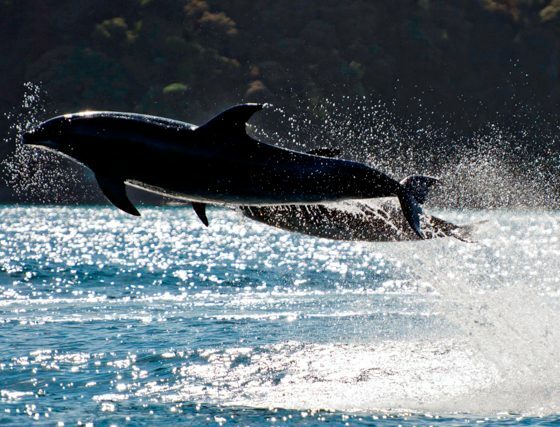 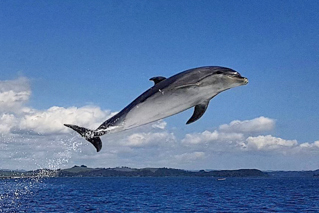 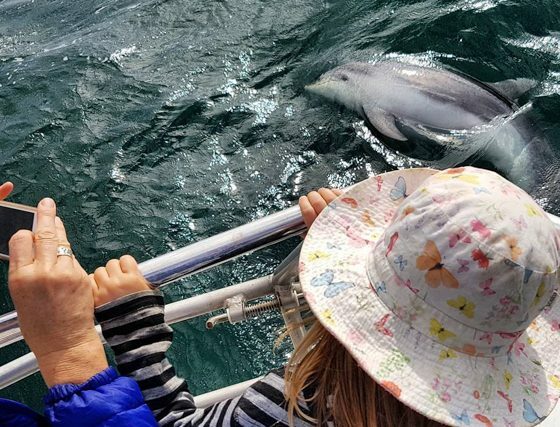 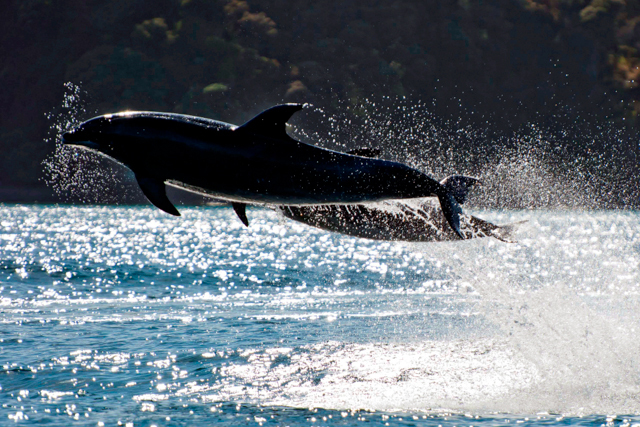 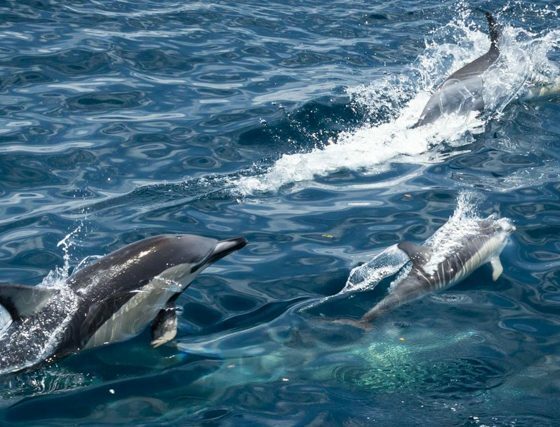 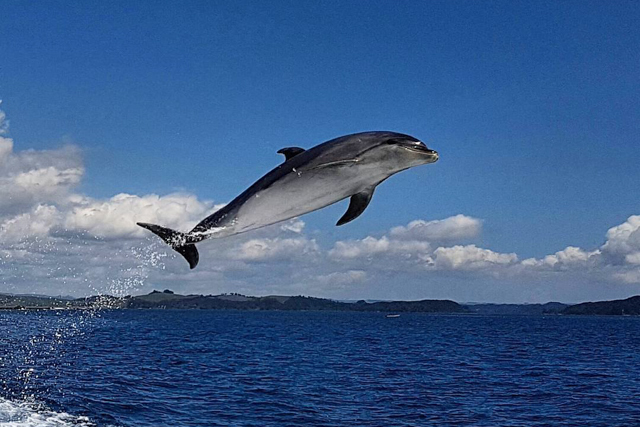 Fullers Great sights intimate half day cruise seeks out the many playful dolphins within the sheltered waters of the Bay. Join the crew in searching for those tell tale splashes as ‘Tutunui’ our purpose built dolphin viewing and swimming vessel gets in really close. 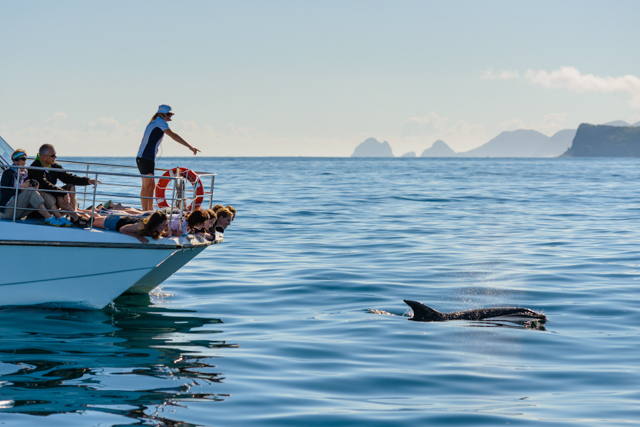 ‘Tutunui’ is a purpose built dolphin vessel that gets you closer – with a low viewing deck, water jet engines, underwater microphone and experienced crew with an intimate knowledge of dolphin behaviour. 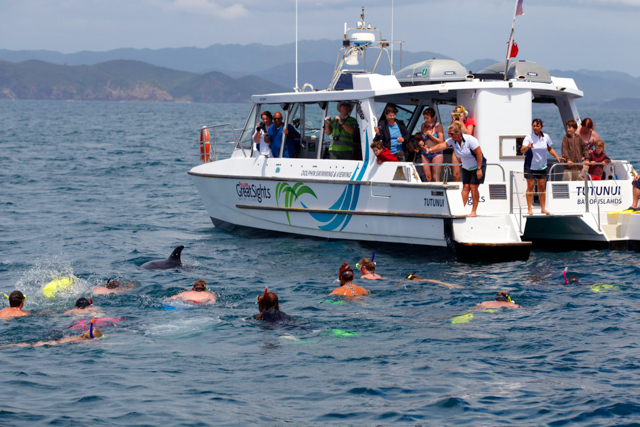 And with a maximum number of 35 passengers on board it means that this is a very up close and personal experience. 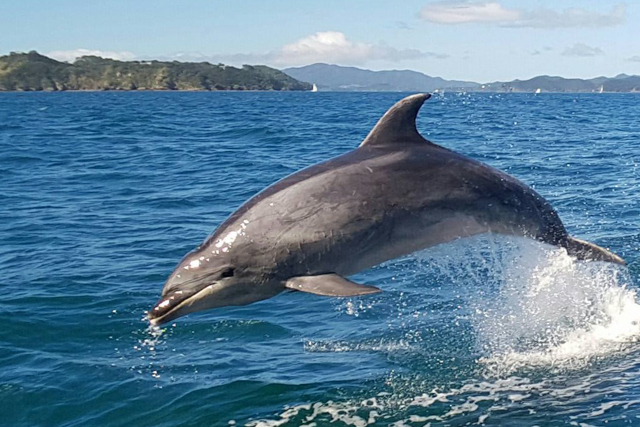 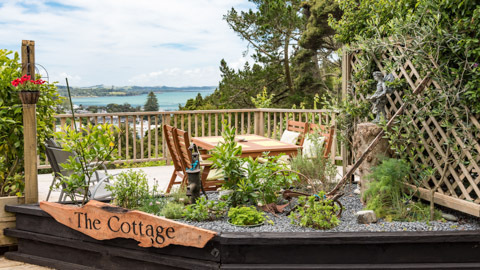 jump into the warmest waters in New Zealand and snorkel with these majestic and inquisitive creatures – an experience you will never forget!. 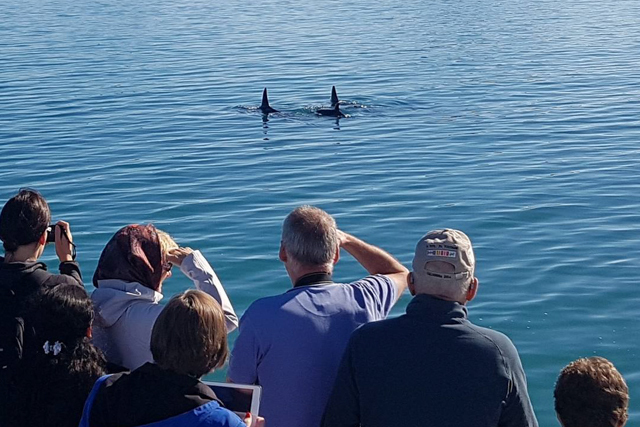 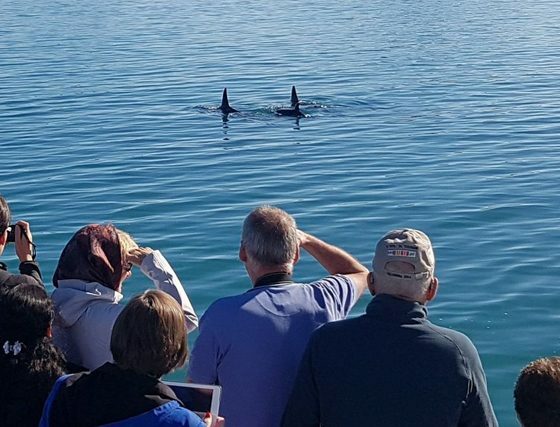 Other marine life that can be encountered on this cruise is baleen whales, orca, seals, fish, penguins and other sea and bird life, You’ll also cruise the many secluded islands of the Bay and gain an insight into this historically significant region. 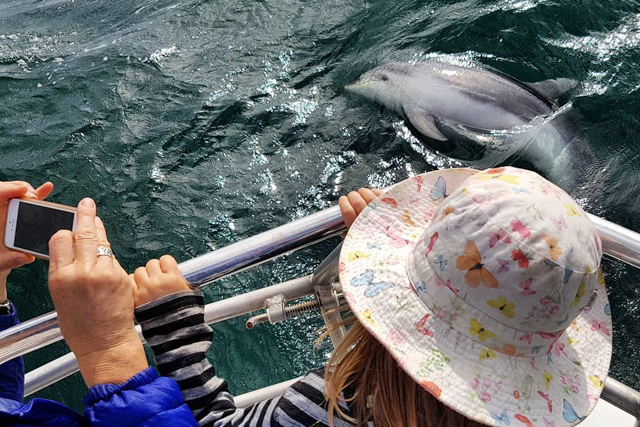 Hat, sunscreen and your camera. 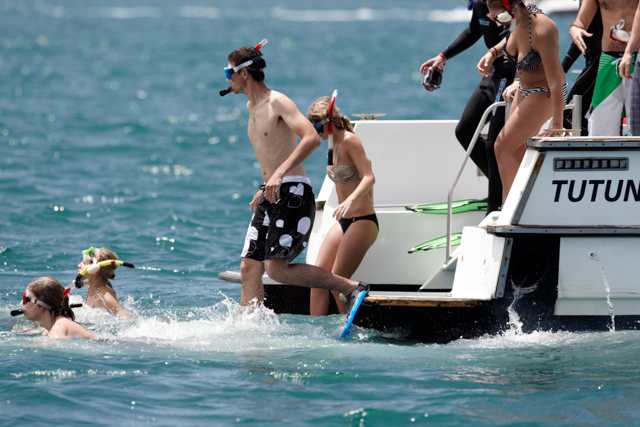 If you plan to swim, bring a towel and wear your swimsuit under your clothing for convenience. 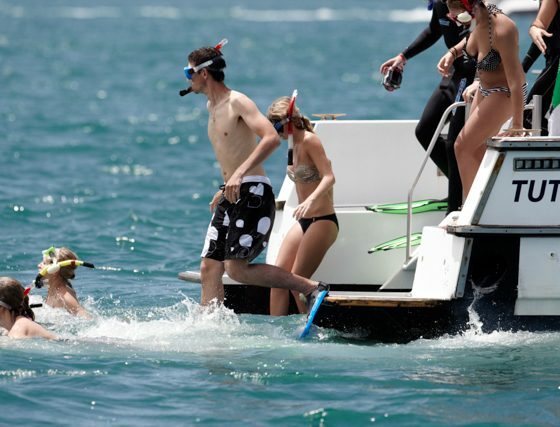 Snorkels, masks, fins and wetsuits are provided. 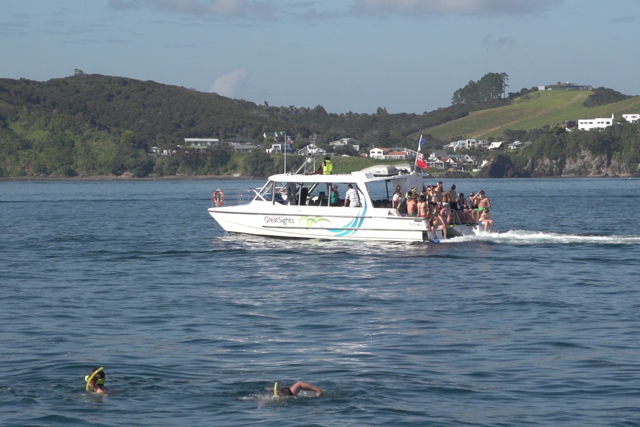 HEAR: A full commentary is provided by your skipper. 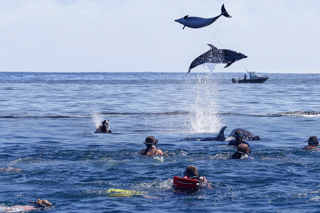 Swimming with dolphins in the wild is subject to the Department of Conservation’s rules and regulations and the skipper’s discretion. 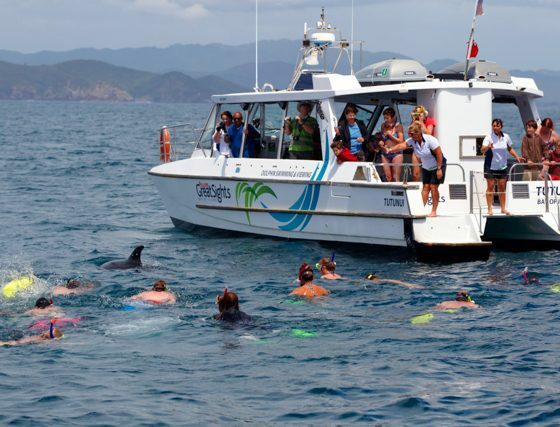 All passengers who wish to swim with dolphins must be able to swim competently in open water unaided. 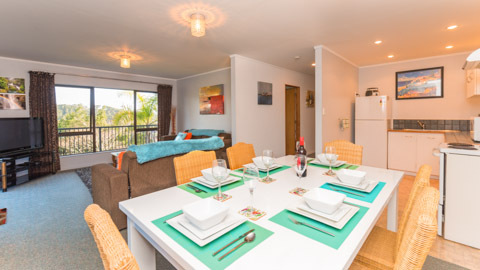 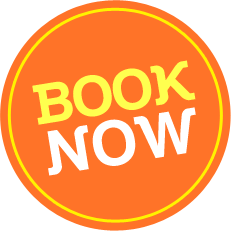 If you are unsure, please consult with our team during booking. 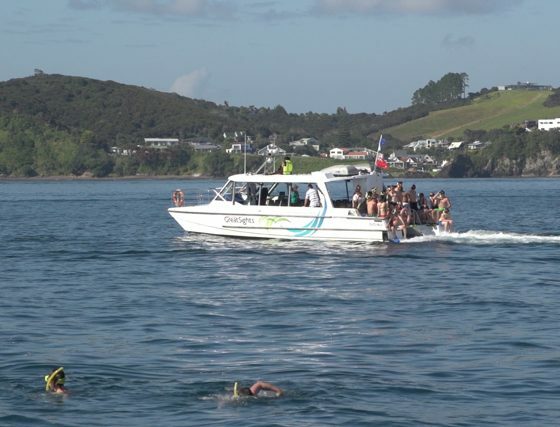 The crew must be informed of any medical condition that could affect your swimming ability in open water. 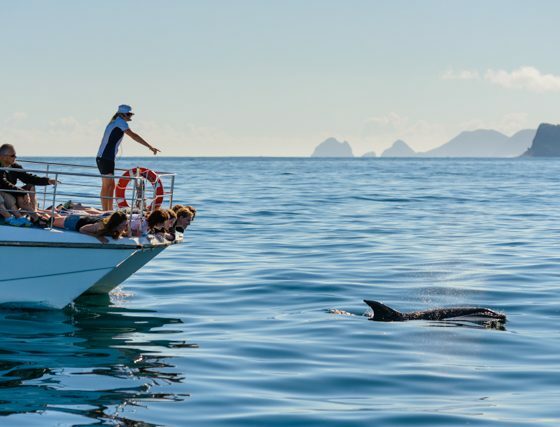 Children under 8 years are not permitted to swim with dolphins and children 8-12 years must be supervised by a parent or guardian at all times. 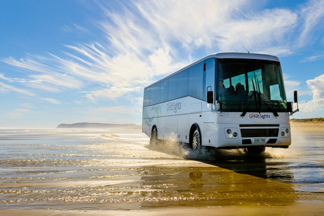 it will be an experience you will never forget!